As the California summer begrudgingly cools into fall, with each ride I notice fewer smooth-bellied snake tracks squirming across the sandy trails. I'm no herpetologist, but over the years I've become decent at speculating the species or the ages of our slithering friends by examining the tracks serpentine jaywalkers leave behind. I’m even more Steve-Irwin-like when it comes to analyzing the tracks of those who've ridden a trail before me. My regular loops give a trail bike all it can handle: high-speed descents on mostly hard-packed terrain with sharp rock outcroppings, tire-grabbing roots, big-bike-worthy jumps and tire-folding berms. On these trails, I often recognize the snake-belly signatures of popular semi-slick tires from Maxxis and Specialized. Tires of this variety are designed to have low rolling resistance for increased speed and efficiency, but also utilize prominent side knobs for cornering bite. The Rock Razor is Schwalbe’s offering in this category. Available in 26-inch, 650b, and 29-inch sizes, the 2.35-inch-wide Rock Razor is offered with the trail-bike-oriented SnakeSkin casing, or the heavier-duty Super Gravity casing found under Schwalbe’s World Cup Downhill and Enduro World Series racers. I've been using the SnakeSkin-clad Rock Razor on the rear wheel of my mid-travel 29er, and matched it with aggressive 2.3-inch-wide front tires from both Schwalbe and Specialized. Closer inspection of the Rock Razor's tread reveals the low-profile and slightly ramped square knobs in the center of the tire, while the prominent side knobs are siped to increase the number of biting edges when the bike is leaned over. Listed at 2.35 inches wide, when mounted to modern rims with inner widths at or above 30 millimeters wide, the Rock Razor appears beefier than tires with similarly claimed dimensions. The SnakeSkin casing is designed to be run tubeless, and the tire was easily inflated with a floor pump and a jigger of Stan's sealant. The SnakeSkin Rock Razor weighed a competitive 743 grams. Pricing is rather steep, ranging from $91 to $98, depending on wheel size and casing choice. 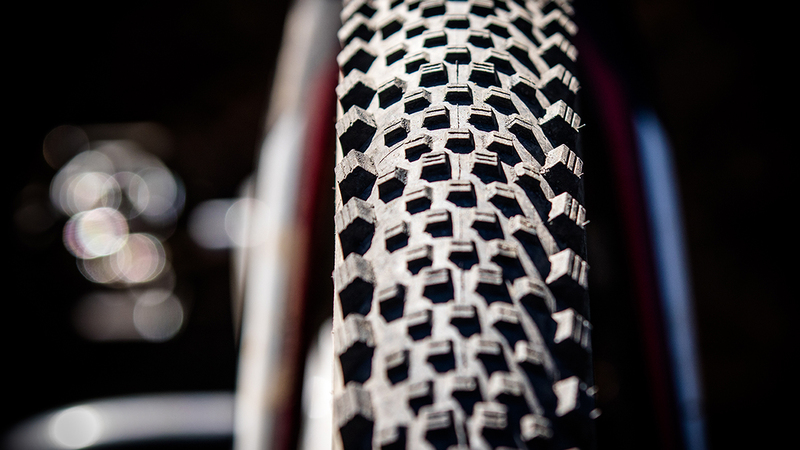 The SnakeSkin fabric on the sidewall is designed to provide cut protection and ease tubeless set up. For lack of a better cliché, there's no free lunch when it comes to semi-slick tires. As a concept, I love them–less rolling resistance means increased efficiency and potentially overall speed, while the side knobs should take lend a hand during hard cornering. In reality, the low-profile center tread simply lacks the bite for hard braking in loose or unfamiliar conditions. I'd be remiss to not point out the Rock Razor can add some Tokyo-Drifting good times to your ride, as the back wheel is more susceptible to breaking free through loose corners. Going sideways, although fun at times, is obviously contradictory to Schwalbe's underlying intention of the tire rolling forward efficiently. The Rock Razor weighs about 50 grams less than popular semi-slicks of similar construction from other brands, but the SnakeSkin casing has stood strong against punctures and provided peace of mind when approaching jagged terrain. 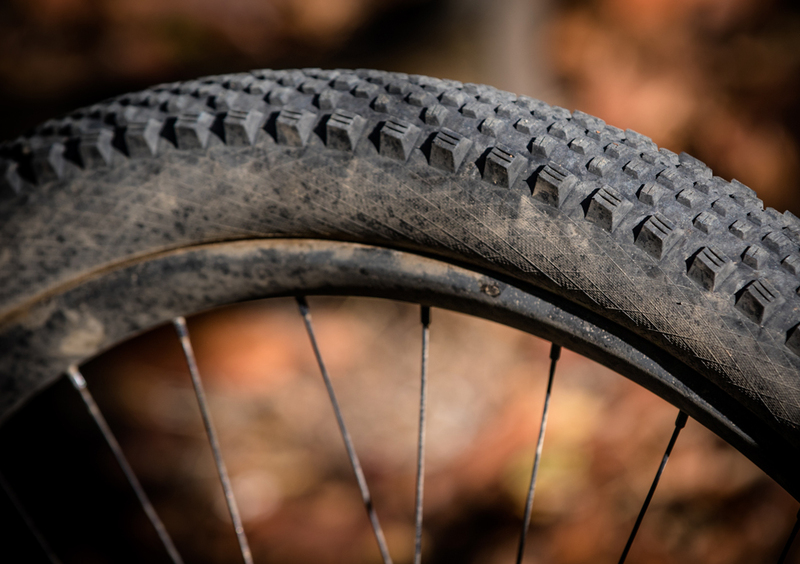 The PaceStar rubber compound has thus far outlived Schwalbe's softer, infamously quick-wearing rubber variations. Despite the minimalist tread pattern and lighter weight than tires with similar construction and intended use, the Rock Razor provides an impressive amount of cornering traction. If your regular rides send you through seriously chundery and unpredictable surfaces, though, you’d probably be better off with something with more bite. On the other hand, if rolling faster on hard-packed or rocky terrain is what you're all about, the Rock Razor can help you make smooth SnakeSkin tracks of your own.